In the early 1990’s Dr. Robert Melillo began seeing a marked increase in children with learning and behavioral issues visiting his practice. Parents were concerned and desperate to help their children. This was the beginning of a long and passionate journey for Dr. Melillo as he developed the Brain Balance Program. Dr. Melillo’s research and extensive clinical experience led him to understand disorders like ADHD, Dyslexia, processing disorders, and autism spectrum disorders as manifestations of an underlying problem in the brain called Functional Disconnection Syndrome. This imbalance in brain development was the common thread between all these learning and behavioral issues. He knew, based on the science of neuroplasticity, that if he designed a program that could effectively stimulate the weaker hemisphere of the brain, it could, in fact, grow and develop new and stronger neural connections. In turn, this would remediate the many symptoms associated with these learning and developmental disorders. Dr. Melillo did just that. He developed a cutting-edge approach by integrating three key pillars of brain development: sensory motor stimulation, cognitive stimulation and nutrition. In 1994, Dr. Melillo began implementing his novel approach to helping children with learning and developmental disorders in his own practice. He went on to spend the next twelve years further refining the program. His goal was to design a highly effective, drug-free program that could counter the rapid rise of ADHD, Learning Disabilities, ASD and other similar developmental disorders. Once Dr. Melillo validated the efficacy of his program, he felt compelled to make it available to as many children as possible. He wanted to offer a model that was replicable and accessible to the many families so desperately seeking hope and real help. He saw a need for a solution that did not rely on medication or require an army of separate practitioners in order to achieve lasting results. 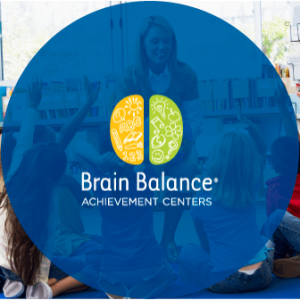 To make the Brain Balance Program available to as many children as possible so that each child may reach their greatest physical, mental, social and academic potential.